SKIN’s Advanced Laser Skin Rejuvenation treatment achieves complete renewal through a closely packed array of diffractive lenses which harness and redistribute each laser pulse for a photomechanical effect. Fine lines, wrinkles and superficial skin discoloration are reduced, and skin texture becomes more smooth and elastic. 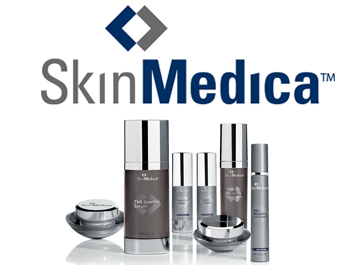 Treatments are clinically proven to be effective on most skin types and have virtually no associated down time. The specialized lens concentrates the laser pulse to a precise depth of the skin so that only 10% of the skin is being treated at extremely high energy with the lower energy level being reserved for the remaining 90 percent of the skin. This method facilities deeper penetration to stimulate collagen and elastin production for dramatic results while maintaining minimal downtime. Most patients easily undergo the procedure. Some swelling and/or redness is usually visible immediately after the treatment for up to 48 hours post-treatment. Following treatment you will notice improvement in your skin’s tone and texture as a result of increased levels of collagen and the production of new healthy skin cells. With the treatment’s dermal impact, mild to moderate wrinkles and superficial skin discolorations are reduced. Most individuals require a minimum of 4 treatment sessions in order to optimize results.